Former PBA chairman Buddy Encarnado says they wil be going for the untapped talent and not the other leagues' players. THE Philippine Commercial Basketball League (PCBL) said it is not out to compete with existing leagues in the country even as several members of the PBA D-League have joined the newly-formed group. Tanduay, Racal Motors, Jumbo Plastic Linoleum, Cagayan Valley and Café France’s sister company EuroMed are all fielding teams in the fledging league. Buddy Encarnado of Sta. Lucia Realty, part of the group spearheading the league, stressed the PCBL has a different market and is looking at having purely homegrown talent. “Right now, majority of the league members (in the PBA D-League) are school-based. And we are not enticing the school teams to join us. That’s why I’m saying from the start that we will augment the need for all types of basketball leagues. We are trying to find our market. “The D-League has its own market that is more designed to cater to the collegiate level. We are here to provide another form of entertainment at the commercial level,” said Encarnado. Encarnado said the PCBL will have players between 30 and 33 years old, an age bracket lower than the PBA D-League, but will also eventually aim for younger players, most especially untapped talents. “The main concern of the league right now is to form the league. In the future, we can now zero in on our target which is probably to go pure homegrown,” he added. Encarnado said the league was formed since a lot of teams have a 12-month program but don’t have a year-round competition. “The formation of the PCBL was by necessity to have a purely commercial league. It also became imperative for the teams who have a 12-month programs. 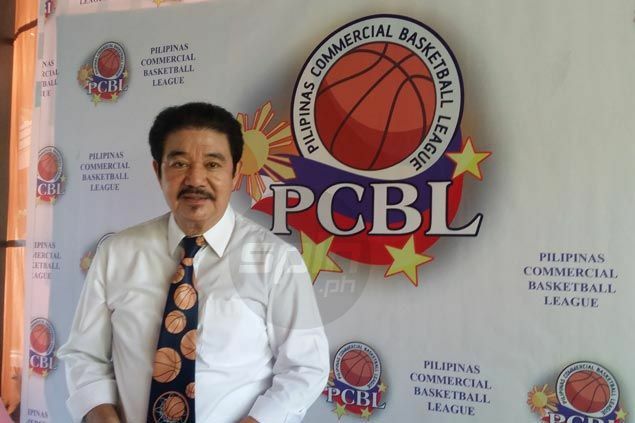 Now is the time to launch a commercial league because there is none,” said Encarnado, a former PBA chairman. The PCBL will open in September and will hold their league the entire year even during the collegiate and PBA D-League seasons. “We will come out with a 12-month a year program. Continuous ’yan kaya we won’t touch those players in the UAAP and the NCAA so it will not harm the collegiate life of the players. After they have already complied with their collegiate commitments, that’s the only time that we will have interest in you. But it won’t stop us from looking for new talents,” said Encarnado.